Raylan: If you're going to talk, I'll put you in the trunk and drive myself. Dewey: I can't drive handcuffed to the damned steering wheel! Raylan: You'll get the hang of it. 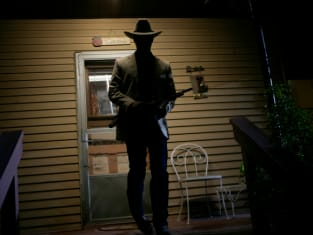 Justified Season 1 Episode 2: "Riverbrook"